Jacques Copeau and his company of young enthusiasts ‘Les Copiaus’ perform on a bare platform in various village squares across French Burgundy. Jeanne Laurent is appointed Deputy Director at the Direction of Performing Arts and Music. She launches France’s policy of decentralisation for drama. Jean Vilar reopens the Théâtre National Populaire in suburban Paris. André Malraux creates France’s Ministry of Cultural Affairs and fathers the project of French Arts Centres (then referred to as Maisons de la Culture, MCs). The Direction for Drama, Music and Outreach Cultural Development is created. A memorandum of understanding defining the role of MCs in the cinema field is signed. 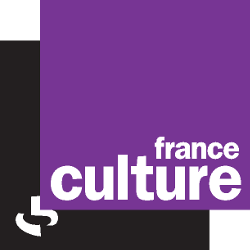 In order to foster devolution of state administration, the first Regional Directorates of Cultural Affairs (known in France as Directions Régionales des Affaires Culturelles, DRAC) are launched throughout France. The Direction of Theatre and Performing Arts is created. The Ministry of Culture increases its budget from 0.47% to 0.75% of the total state budget. The certification for National Performing Arts Centre (Scène Nationale) is created. The National Performing Arts Centres schedule of tasks and obligations is established. National Performing Arts Centres (“Scènes nationales”) is a result of the French cultural policy of post WWII decentralisation. Launched by André Malraux, France’s first ever Minister for Culture, this project of confrontation between art and habitant show a french distinctiveness. Chronic of a cultural exception.